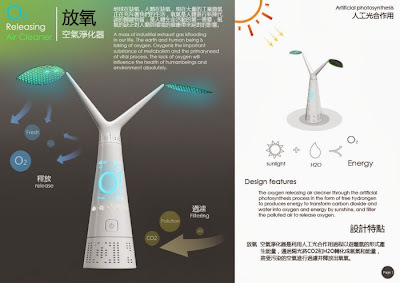 Collection of 'Innovative Air Purifiers and Creative Air Filter Designs' from all over the world. 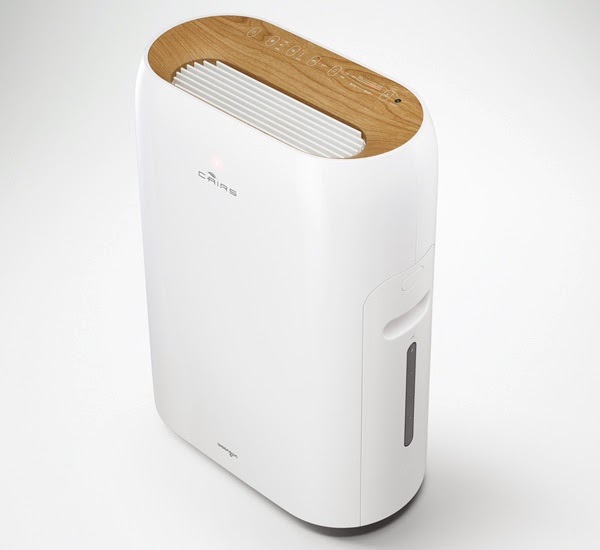 Daan Air Purifier: Daan Air Purifier by J Kim is a small circular shaped unit that is perfect to purify a small room. And for a larger space, you can keep multiple of these air purifiers on one another. 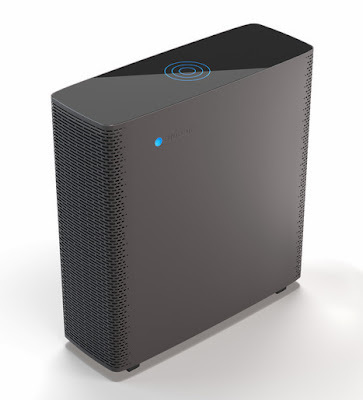 O - Two Air Purifier: O - Two Air Purifier is a compact air cleaner, its silent, uses no filters, and uses less than 6 watts of energy while running. 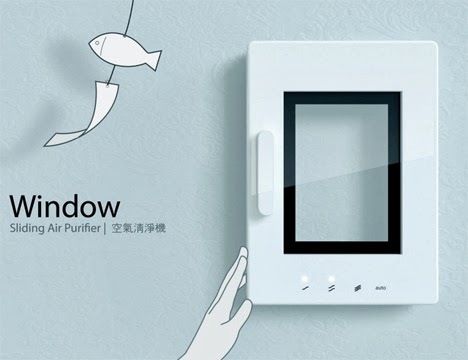 Window Air Purifier: The Window Air Purifier looks like an actual window; it comes with a display screen that turns dark upon lowering of the air quality in your home. And to make it work, just "slide open" the window to begin the cleaning process. 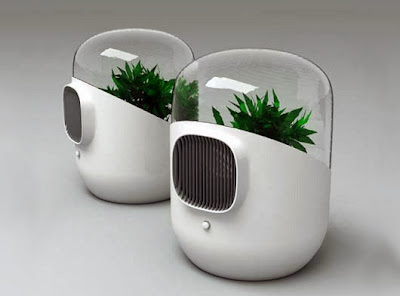 O2 Air Purifier: All you need to do is place you planter on the O2 and water as usual. What O2 air purifier does is it makes the excess water to evaporate while the system accelerates the process of photosynthesis. 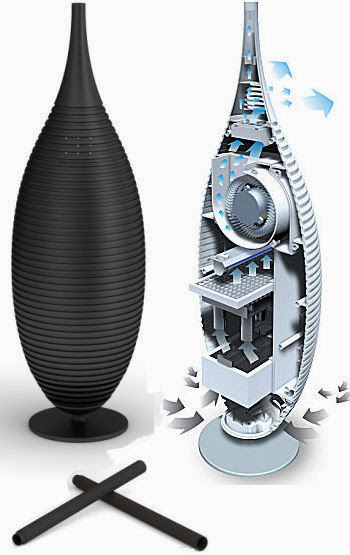 Multi-Functional Air Purifier: The APM-1211GH air purifier by Dae-hoo Kim looks like a vase, while the humidification and dehumidification system uses a naturally evaporating humidification filter. Vita Air Purifier: The concept design by Fulden Dehneli features a tall vase like unit. 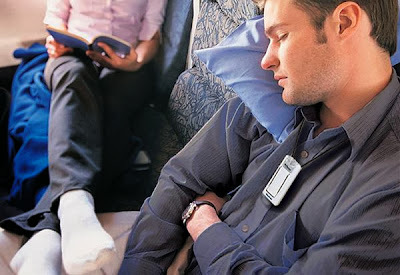 There are three rechargeable individual Vita sticks that can be removed and moved to different corners of the home. 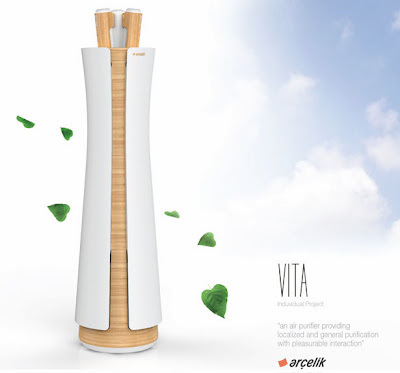 The Vita Air Purifier can be controlled using a smartphone app. 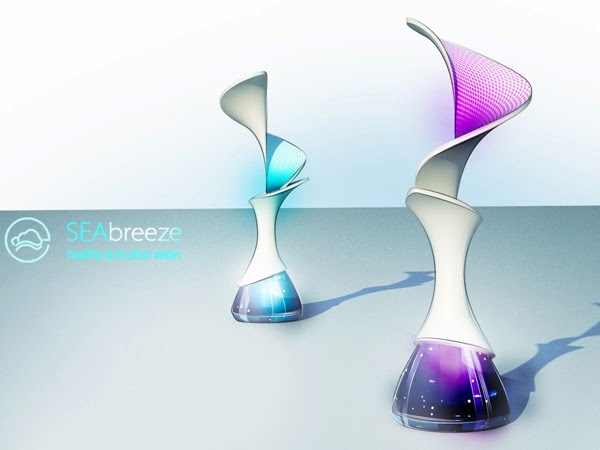 SEAbreeze: The Electrolux SEAbreeze works with seawater and exudes pleasant sea breeze within the room. It even works as a dehumidifier and a humidifier. And what more, it even transforms the seawater to drinking water. 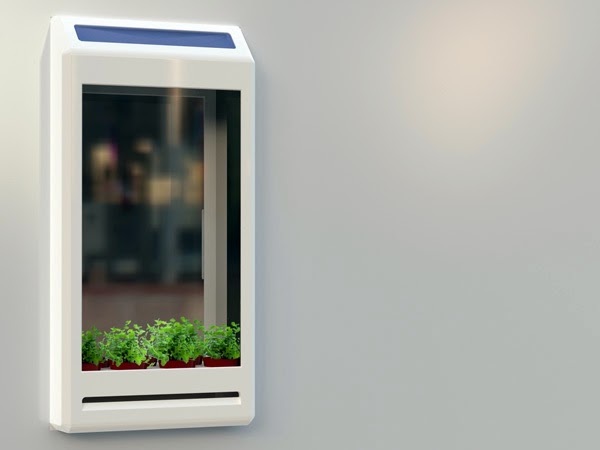 Original Breath: The Original Breath is a window based air purifier that brings in purified air into your room through plants. 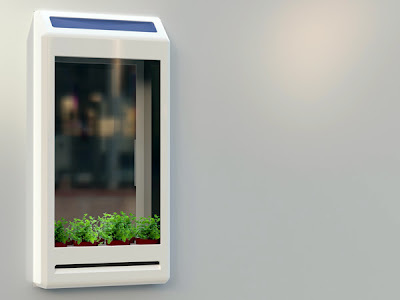 The external part consists of a solar panel for powering a small fan, an outer glass and plants. 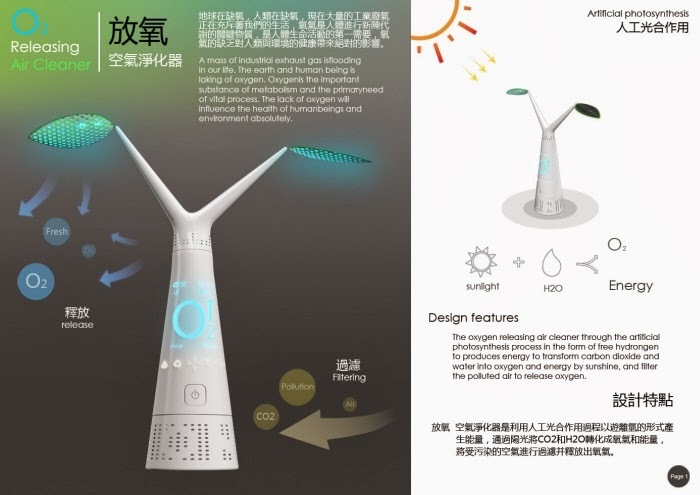 The energy genretated from solar panel is used to power the fan, that sends in the filtered air through the plants into the room. 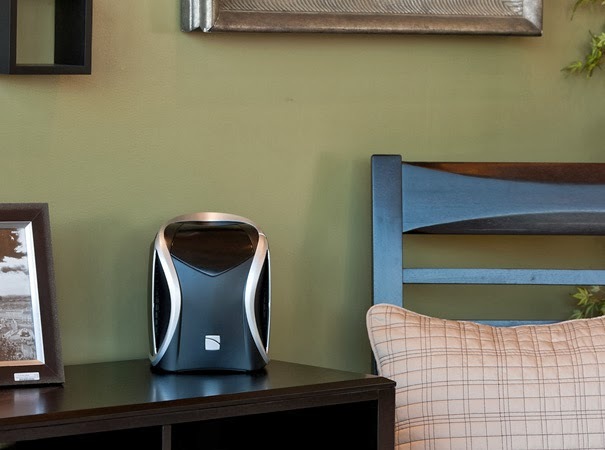 VIKTOR Air Purifier: VIKTOR Air Purifier by Swizz Style use High Potential Particle filter system that produces the same air quality as a HEPA filter, yet uses less energy. 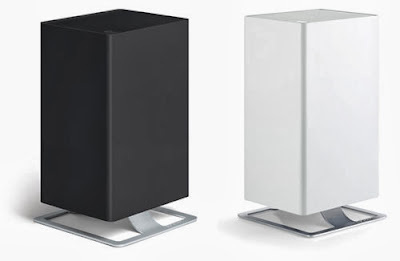 Blueair Sense Air Purifier: Renowned Swedish architects Claesson Koivisto Rune designed these steel and glass air purifiers. 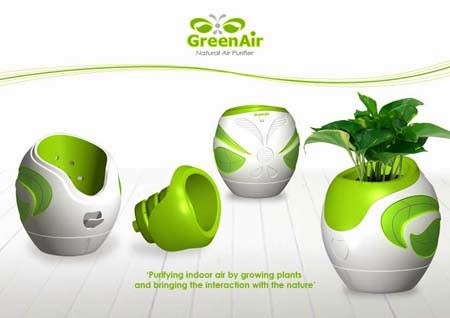 GreenAir: It's an ecological air purifier concept that uses plants for the process. 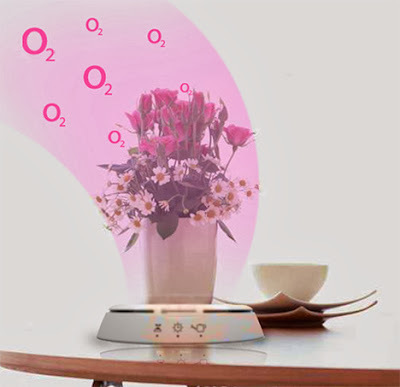 O2 Releasing Air Cleaner: The O2 Releasing Air Cleaner releases oxygen through the artificial photosynthesis. 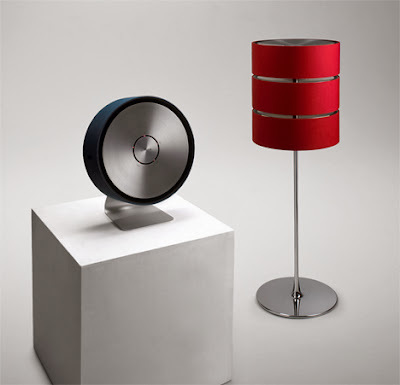 Modern Air Purifier by Swizz Style: This air purifier is a modern air purifier that can act as a decoration piece while working as a six-stage purifier in almost complete silence. 15 Cool Kitchen Tools and Gadgets - Part 16.